We will ship part#: DMM-B-11, which is the same as DMM-11. This fuse is also called/known as Fluke fuse 11A 1000V, Fluke 203403, Fluke fuse 203406 Fluke 803293, Fluke 943118, BUSSMANN fuse DMM-11 or DMM-11A, or BUSSMANN DMM-B-11 or DMM-B-11A. This fuse is non returnable. 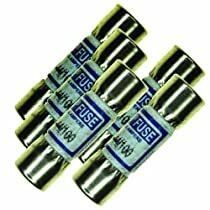 5 fuses for a better price than Fry's Electronics (which was constantly out of stock). Wish I'd bought them here ages ago. 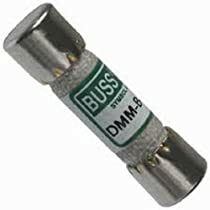 Various sources indicate that DMM-B-11A (which is the model number listed on these fuses, and shown in the picture) has identical characteristics (and is interchangeable with) DMM-11A fuses. Got a multipack of them off the bat for my new meter so I will not have any more downtime than the time it takes to swap out. These were cheaper than buying locally for me.